~Proverbs 16:18 Pride goeth before destruction, and an haughty spirit before a fall. Injured pride is a tough lesson for the believer. The earlier this lesson is learned, the better it is. This is a hard lesson but when it is learned as a child, it makes it all the more easy later on as a teen. Today’s graphic is a good representation, don’t you think? When we see ourselves as better than we truly are, we set ourselves up for a huge disappointment. 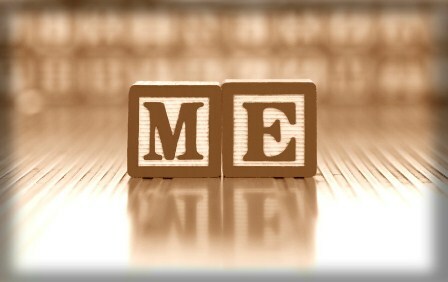 Pride revolves around self – it’s all about ME! It’s all about MY feelings being hurt. If you struggle with pride, remember that one day you will be brought down to the level you truly belong, and maybe even lower – and that’s no fun place to be. ~1 Samuel 2:3 Talk no more so exceeding proudly; let not arrogancy come out of your mouth: for the LORD is a God of knowledge, and by him actions are weighed. ~1 Peter 2:20 For what glory is it, if, when ye be buffeted for your faults, ye shall take it patiently? but if, when ye do well, and suffer for it, ye take it patiently, this is acceptable with God. You’re suffering because of your sinful pride, not because you did something right for the Lord. You must recognize the difference and see God’s punishment as His way of teaching you to be humble. It is better to learn to be humble and meek before God has to deal with you and you are brought to shame. ~Proverbs 11:2 When pride cometh, then cometh shame: but with the lowly is wisdom. Get in the Bible where the teaching is pure – there are so many verses dealing with pride and humbleness. Recognize that your pride is sin in the eyes of God. Confess this sin and ask the Holy Spirit of God to pierce your heart and teach you humbleness and meekness. As if pride isn’t bad enough, it will most certainly drive you to greater sin. The Lord says you will stir up trouble and that you are a fool. ~Proverbs 28:25-26 He that is of a proud heart stirreth up strife: but he that putteth his trust in the LORD shall be made fat. He that trusteth in his own heart is a fool: but whoso walketh wisely, he shall be delivered. Is this what you want for your life, teen girl? The Christian who is striving to grow in Christ produces the fruit of the Spirit. Pride is not listed as a fruit of the Holy Spirit; however meekness is in Galatians 5:22.